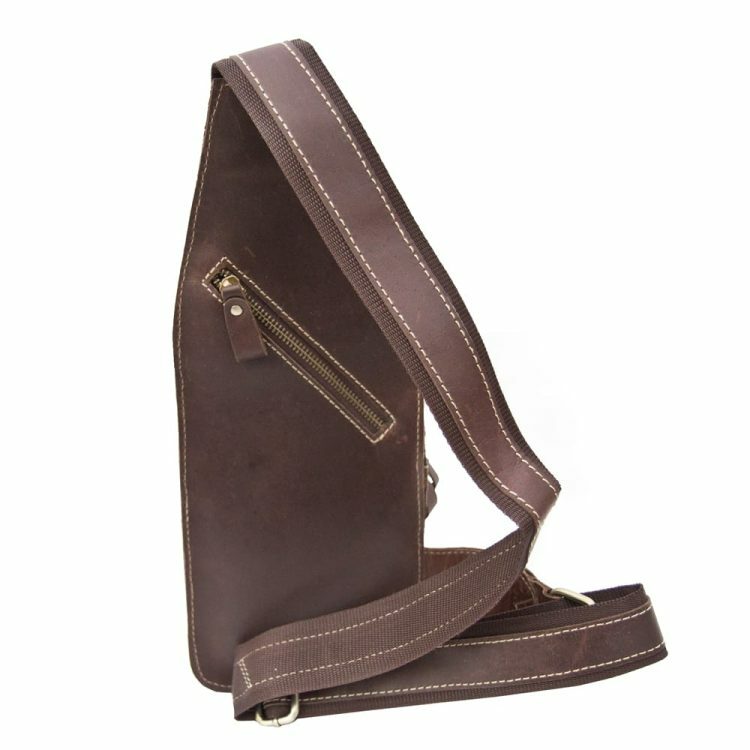 Built for maximum mobility and versatility, the Wombat sling backpack is perfect for carrying essentials on short outdoor excursions. 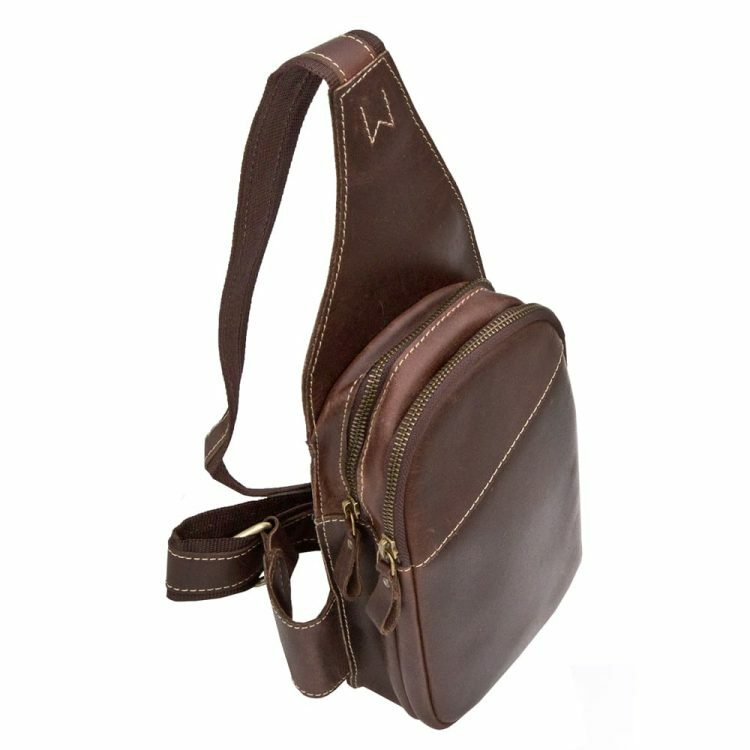 The large front pouch is ideal for items you’ll need throughout the day while interior zippered and pouch pockets can store gear you might access during a break. Worn slung across one shoulder. 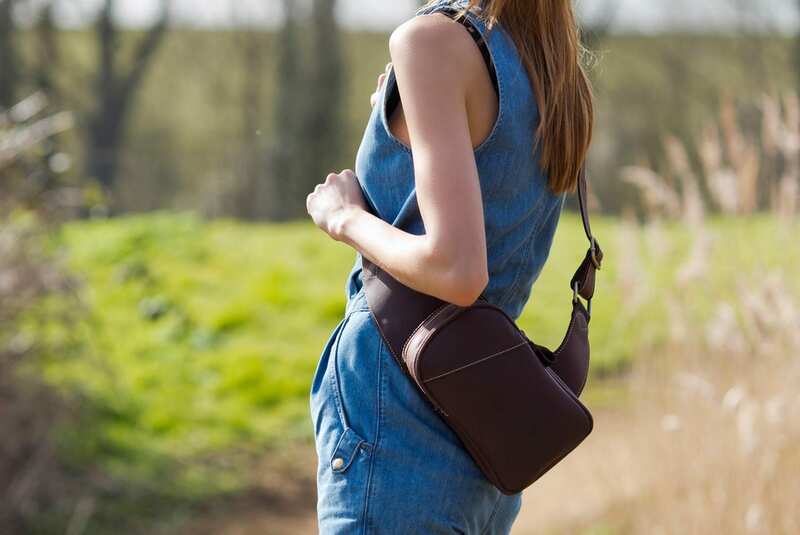 The smooth chocolate brown finish of the sling backpack makes it at home on both urban and rural outings.